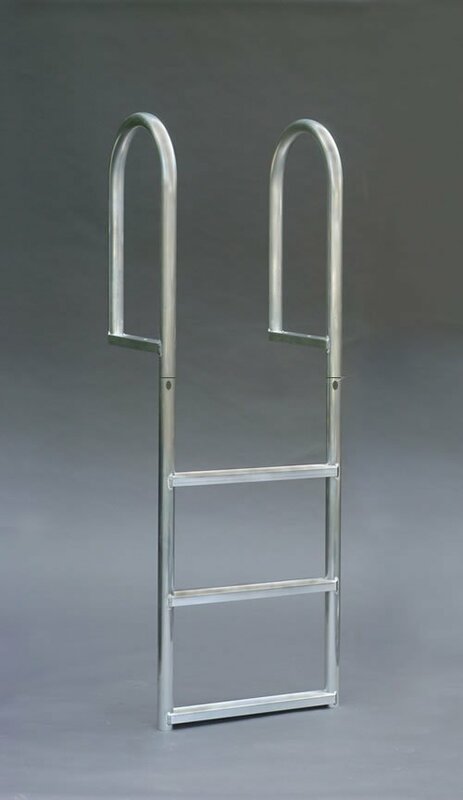 A1A Dock Products 4 Step Stationary Dock Ladder, Standard 2" Steps, Aluminum. FREE SHIPPING! 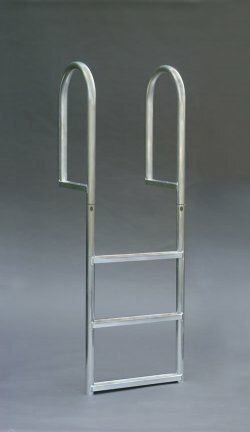 4 Step Stationary Dock Ladder, Standard 2" Step, Aluminum. Comments: Easy to assemble, arrived quickly and very solid. Comments: Very nice looking and well constructed dock ladder. It arrived quickly and the installation went smoothly. Very pleased with the result. I highly recommend this product. Comments: Needed a strong, sturdy ladder at the end of the dock to climb out of the water. I ordered it a little longer to bury the bottom end in the sand. It worked out perfectly.